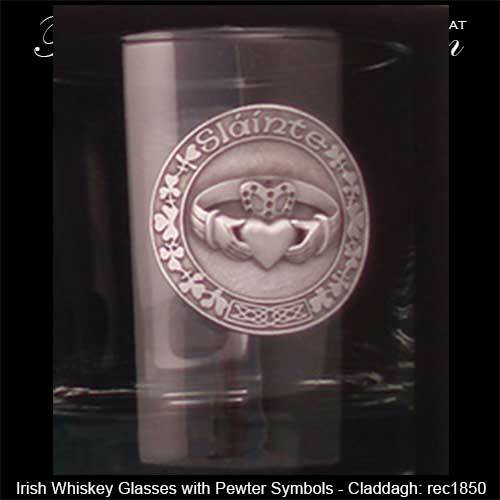 Ireland, shamrock, Claddagh and the Irish harp are the four symbols on these Irish whiskey glasses. 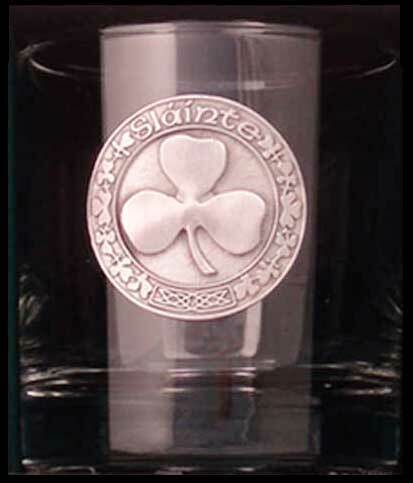 Each glass features the word Sláinte which is the Irish toast for your health. 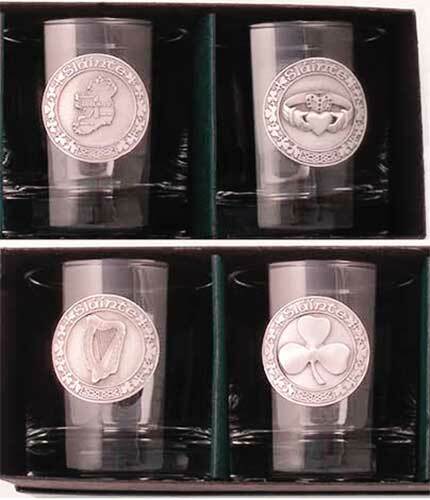 This set of Irish whiskey glasses feature four different pewter emblems with iconic symbols. 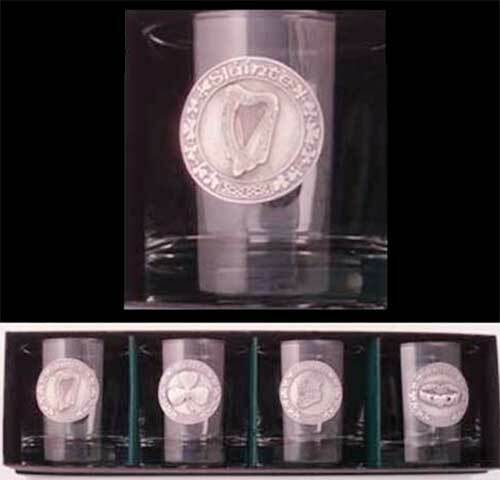 The Irish double old fashioned glasses hold 10 ounces of whiskey and are made in the United States. 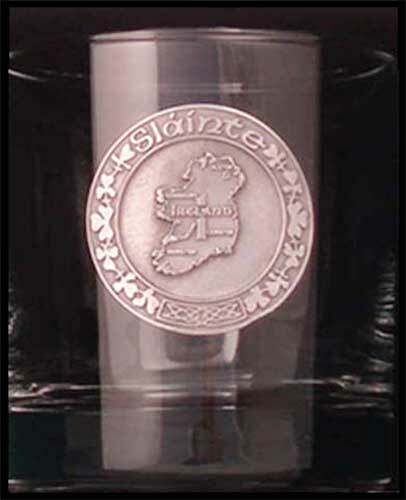 Ireland, Shamrock, Claddagh & the Irish Harp are the four symbols. 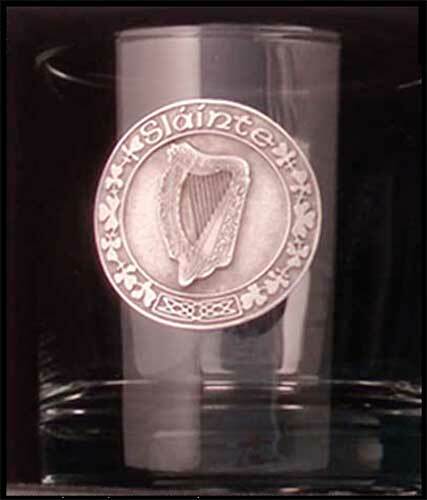 "Slainte" on Each Glass is "Cheers" in Irish.